The 2nd annual Creative Age Symposium is multidisciplinary conference that will address adults seeking opportunities to expand their horizons and improve the quality of their lives past retirement, as well as artists, art therapists, recreation/activity coordinators, aging services and healthcare professionals, service organizations, caregivers, healers, elected officials, policy makers, funders, change leaders striving to improve the quality of life for seniors. Examine the role the arts play in promoting health and wellness for seniors. Develop strategies to bring creative expression to our senior community. 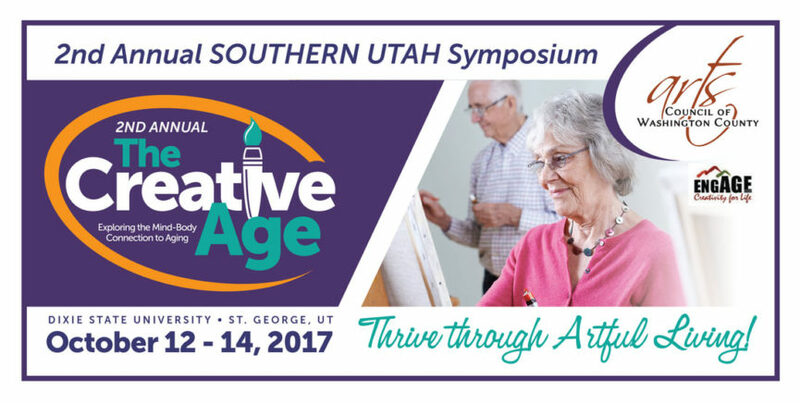 Network with other professionals interested in pursuing creative aging programs. Provide information, opportunities, and inspiration to seniors. Workshops from leading certified art, music, and drama therapists, community planners, medical specialists and more. Participants wanting to earn CEU credits in PT, OT, Social Work and Nursing – up to 15 credits available! We will have applications at the registration desk. CEU credits are available for 15.00 processing fee, prepay online with your registration or at the door.